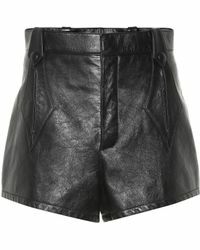 An alternative to the staple leather skirt, the leather short is a sleek update that evokes an edgy style. In recent years, the short has become an acceptable option for a smarter and dressier look. Regardless of fit or style, a pair of leather shorts will see you through nights out and casual weekends. 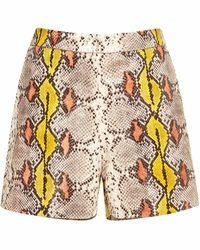 Look to Alexander Wang and Topshop for a range of pairs.